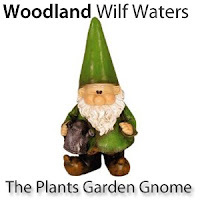 "Woodland Wilf" garden collectables are a cute and fun addition to any home or garden. The intricate hand painted detail on these makes these the best looking gnomes on the market! Made from weather resistant poly resin and painted with UV stabilised inks to ensure that they look good well in to the future when placed outside. Each character has foam pads underneath to protect surfaces if you choose to keep him indoors. 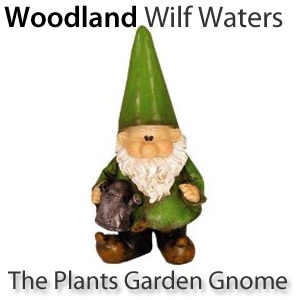 "Woodland Wilf" makes an ideal gift for friends, family, and garden enthusiasts! Wilf likes to water the plants on a daily basis… he talks to the flowers as he waters them and ensures that they all have enough to drink from his enchanted watering can that never needs re-filling! As his name suggests Wilf is a woodland dweller that would like to live at the bottom of your garden. His ideal home is around your borders, where he can hide amongst the plants. For anyone who likes Gnomes, I would definitely recommend this collection. I bought this a "joke" gift for my Brother in Law, but I have too say I was very pleasantly surprised at just how good the quality of the gnome was, especially for the price that I paid. It was extremely well made and it was packed really well for transit.